It's hard to believe our annual Boston MQG retreat is less than a week away. 4 days of uninterrupted sewing time is bliss but to really take advantage of all that glorious sewing time I have to really plan out what I'm going to do... thus the RRP: Retreat Readiness Plan. The plan falls in to two broad categories: things to do on retreat and handmade things to take on retreat. From past experience I've found that retreat is a great time to tackle my towering to be quilted pile. Having friends to talk to definitely makes it go faster and as long as my lines don't have to be perfectly straight I can still do it after a glass or two of wine:-) I've got a whole stack of quilts basted and ready to go. 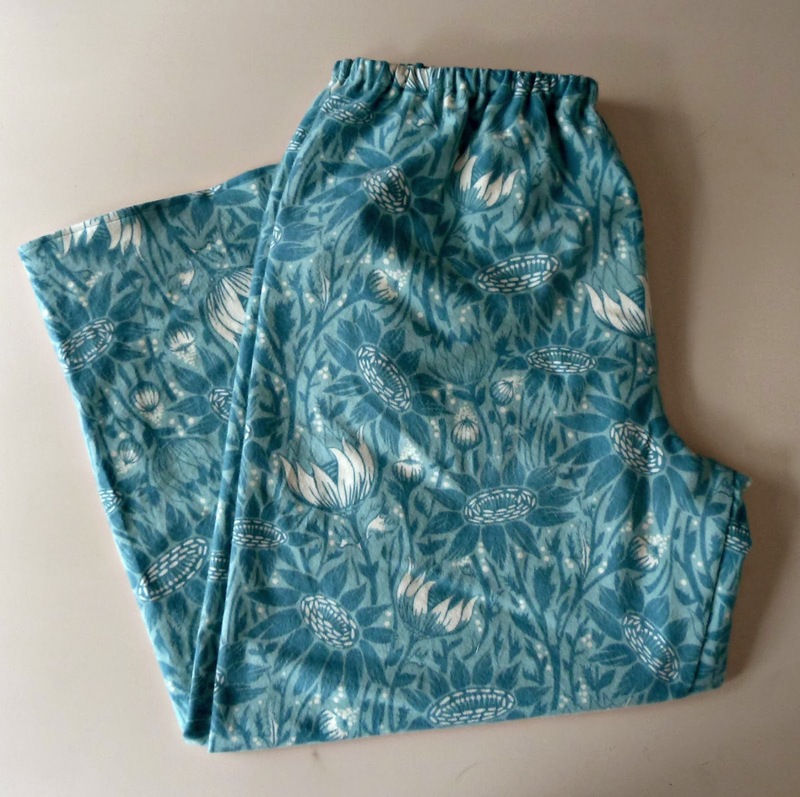 With that out of the way I made myself a new pair of lounge pants with the some Anna Maria Horner Coreopsis flannel I've been hoarding. 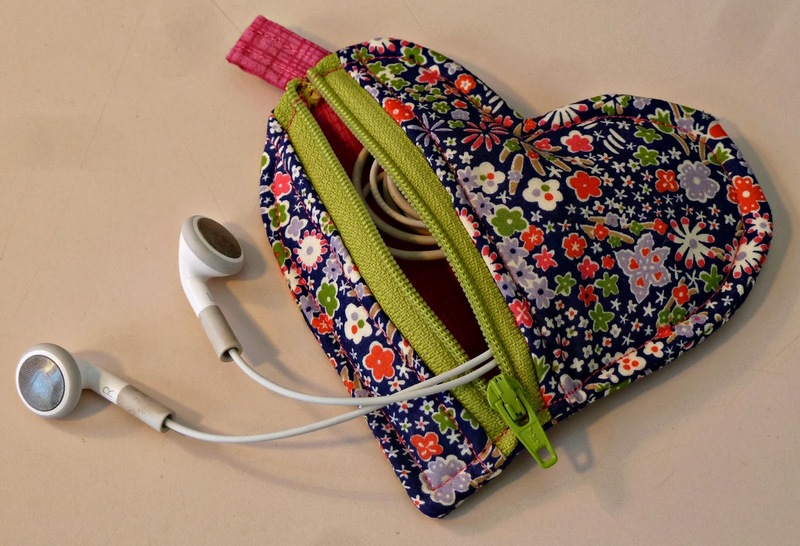 Then I decided I needed a little pouch to store my earbuds using the awesome Heart Shaped Pouch tutorial by Dog Under my Desk. and used the original Circle Zip tutorial and some raw-edge applique to make one for Audrey. Good luck making your circle tote. That's been on my list for a while, so I might pick your brain when the time comes to dive in. Can't wait to sew with you and everyone else for four days!!! That's sounds like a great plan for retreat! I absolutely love your heart shaped pouches and the circle one too! I have to make some. Did you buy a smaller zipper for this project? You are so ambitious! You certainly are going to make the best of your retreat time. I've been wanting to make that little earbud case for awhile now. I really want to see your sewing circle tote when it's done! Wow! I'm your personal fabric enabler? I feel so honored! :). You're going to be so ready for retreat and have a fabulous time! 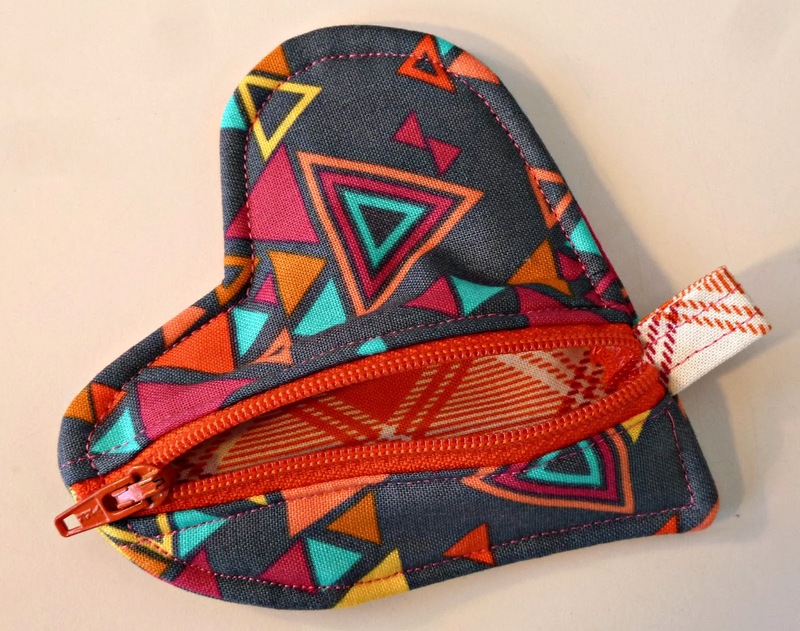 The heart pouches are adorable! So, reading between the lines, am I to understand that I should be packing pj bottoms to wear in the sewing room and a couple bottles of wine? ?